“They say this is a big, rich town. Bright lights, city life, I gotta make it. Every so often, a television show come’s along and completely grabs your attention, and soon enough, you’ve become obsessed with it. And Power is one of those television shows. I started watching it about three years ago, and I still can’t get enough of it – even my own husband is obsessed with it. As of July this year, Power was finally made available to the rest of the world on Netflix. Before July it was only on the American network Starz. And the greatest thing about Netflix is that you can binge watch the show’s four seasons so far!
? What’s It All About? Power is a crime drama series about the underworld drug game and the glamourous nightclub life in Manhattan, and is executive produced by the one & only, 50 Cent, who also stars in the show. Omari Hardwick stars as James ‘Ghost’ St Patrick, a ruthless drug-dealer under the nickname “Ghost” who wants to leave that world behind him and start a new life as a respected member of New York city’s elite. And he is also damn fine to look at too! Joseph Sikora stars as Tommy Egan, Ghost’s childhood best-friend and an honorary member of Ghosts family, seems to have the best quick-witted lines, and yet can scare the bejesus out of you when he’s pissed off, or been double crossed. Curtis Jackson, aka as ’50 Cent’ plays Kanan, and once was Ghosts and Tommy’s mentor from the hood, but now turned sworn enemy. Naturi Naughton who plays Tasha, Ghosts wife and criminal accomplice. She’s a very strong, ride-or-die, smart, and focused on the hustle. 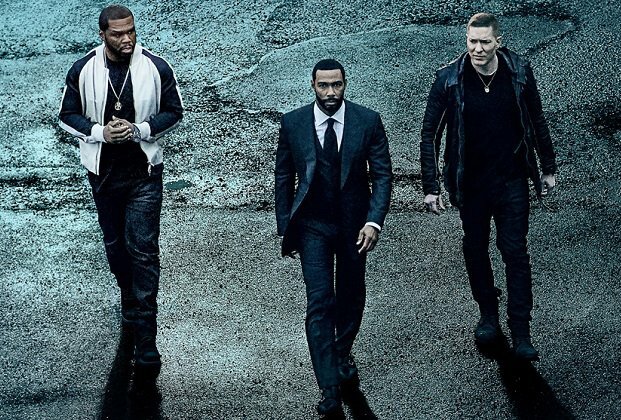 The show is actually partially based on 50 Cent’s former drug dealing’s real life experiences of going from the rough hood, trying to make a living to survive to then becoming one of the world’s top rappers. OK, they are two very different TV shows. First things first, Empire aired before Power came along, however the vibe is pretty similar to certain degrees. While Empire is focused completely on the hip-hop music world, Power is more about the drug world. However, with the lead characters and their respective women are very similar in that aspect, and also how far they’ll both go to make money and/or protect their family that shows they are both very similar in that regard. You may have heard his music and only know him through that, but he can also act. He commands the screen, and you actually forget that he’s 50 Cent, the rapper. Meaning the man you see in Power is not the man who you see in music videos or who performs on a concert stage.